AKA the most expensive onion-garlicky bread ever. Lately I've challenged myself in the art of bread baking, not only to feed my carb obsession which evidently effects the size and width of your hips. Also, the smell of freshly baked bread is better than any Febreze plug in you could ever buy. 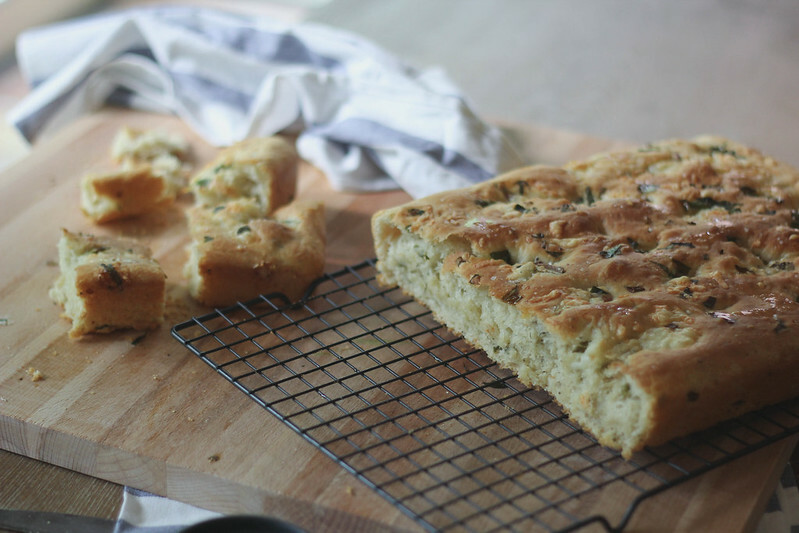 My attempts at different variations of focaccia have been met with amazing results; that has me on the fluffy bread cloud of euphoria and contemplating throwing in the technology towel and going to work at some little bakery making focaccia all day err day. Nevermind that, let me tell you a story.. 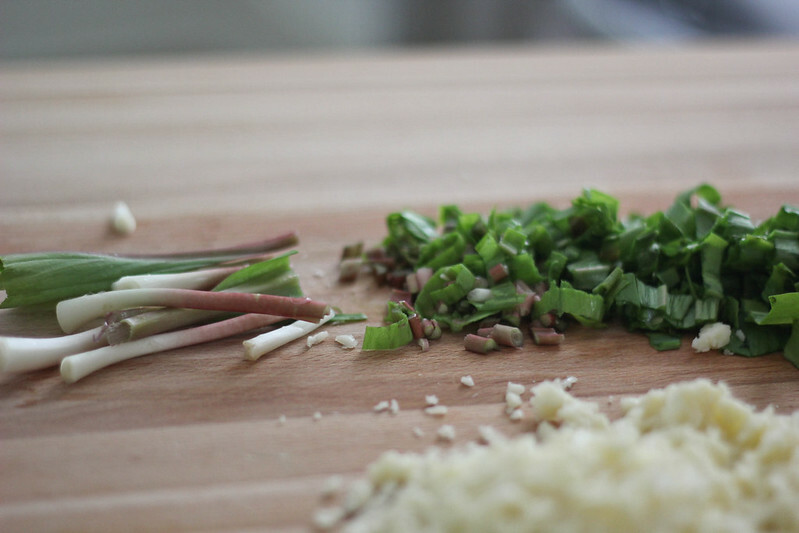 Ramps never had a name to me.. They were "dirty onions" that grew in the woods behind Mr. Grady's house. Who is Mr. Grady, that doesn't matter. In search of honey suckles while precariously dogging bumble bees (that have disappeared from existence- anyone else notice that? ), the woods behind his house held the most mesmerizing discoveries. A group of kids I was tagging along with, started digging up weeds, calling then dirty onions, all the while daring me to "taste it Erika!!" "Umm Naw I'll Pass". Not to mention my grandma would kill me if I died out in the woods from eating some poisonous plant. Instead, I grabbed a handful, stuff them in my pocket and went about my business of watching the other kids to see how long it took them to turn into monsters after eating strange weeds growing out in the woods. Of course I forgot about my pocket plants, until they got washed with the other clothes and my grandmother cussed me to every 7th corner of hell.. (Because Hell has 7 corners in case you didn't know.) also now all my clothes had the most distinctive smell. Quickly, I went into this long spill about my walk through the woods and the discovery of "dirty onions"
"Ramps girl.. That's what there are.. ramps"
"And they ain't poisonous, ask the Cherokee"
"Do they live on this street?" The next day, my grandmother and I go back to the creepy place in the woods and I look on as she pulls up the remaining ramps, as well as few other things that she proclaims are "good for sickness". All the while I'm enraptured by her story of the people of Appalachia where ramps grow in abundance along the mountainous area. She cooked the ramps in stews with okra, mixed them in her grits and fried them in cornmeal, as the Cherokee who do, she'd say. On the next day, we ate the saltiest bread with crusty cheese and a overpowering onion/garlic taste layered in the butter. So in other words it was incredible and sadly I have no clue how she made it. So I thought I'd create my own version, while recovering from a the shock of paying $20 for a pound of "dirty onions" that grow wild in the woods. I wonder if that large patch behind Mr. Grady's house still remains? 1/4 cup extra virgin olive oil + more to coat the bowl. Combine the flour, olive oil, sugar, havarti cheese, yeast, ramps and salt in the bowl of a stand mixer fitted with a dough hook. Blend on low speed until ingredients are incorporated. Add in the water, pouring slowly and mix for about 3 more minutes or until the dough starts to come together. Once the dough has come together continue to knead for 5-6 minutes on medium speed for until smooth. Sprinkle with more flour if the dough is sticky. Coat a large bowl lightly with olive oil (about a teaspoon) and transfer dough to the bowl. Cover with plastic wrap and allow to rise in a warm area until double in size. About 1 hour. Coat a jelly roll pan with 1 tablespoon of olive oil. Punch down the risen dough in the bowl then transfer to prepared baking pan. With olive oiled fingertips, stretch the dough out to edges of the pan. (this seems strange but it works) Allow dough to rise again uncovered in the pan for 30-40 minutes. While the dough is rising, preheat oven to 450. 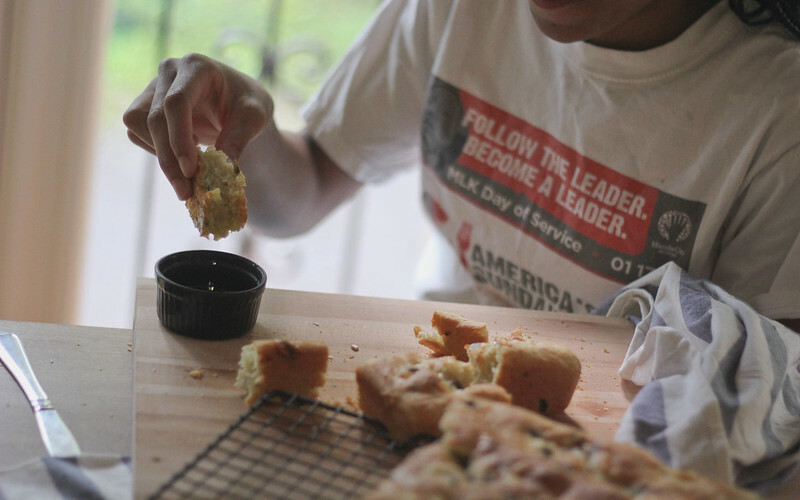 Once the dough has risen, press (olive oiled) fingertips all over the dough creating indentations. Sprinkle with sea salt. Place in the oven and bake until golden brown, about 20-25 minutes. Remove from the oven and allow to cool slightly before cutting.